Startups.zone meetup is the place where smart people and innovative startups gather to exchange ideas, viewpoints and explore collaboration. We have amazing panelists Sheznie Merican, Kenneth Ho and Patrick Klotz who has awesome stories and insights. 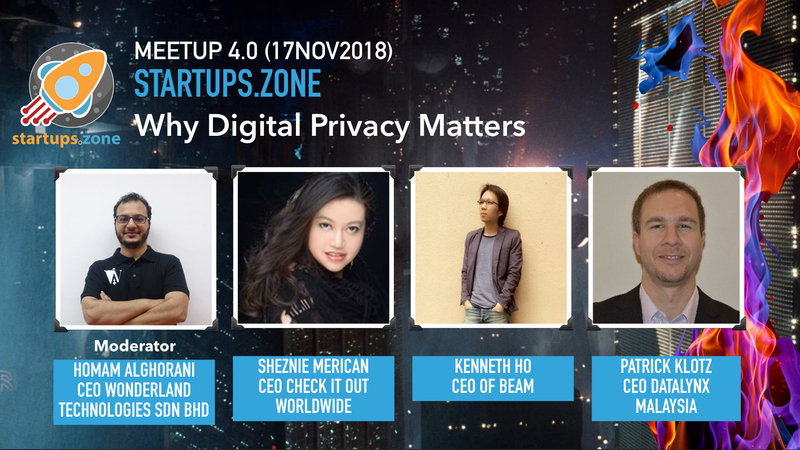 The discussion will be about digital privacy as human right, GDPR impact on Malaysian startups and businesses, PDPA and how to monteize when people wantfree service and privacy at the same time.